Look out Tesla Motors and ChargePoint, here comes a charging network with big plans. Electrify America just announced a plan to build a nation-wide electric car charging network comprising thousands of charging locations over the next 10 years. 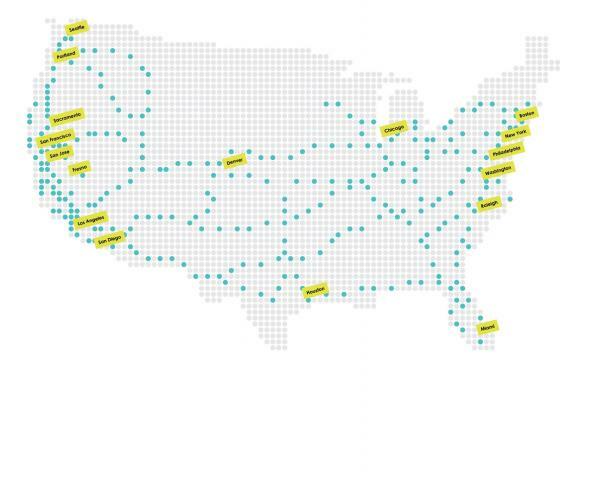 What’s most important is the coverage of inter-city routes as shown in the map above, meaning the company is starting with a vision of — as the company name implies – electric transportation across the USA. Before you get all excited – it’s a 10-year plan that apparently (according to the press releases below) will start construction now, with the full plan taking 10 years to implement. The “Cycle 1” map is what’s shown above, and represents a $500 million investment which will buy 2,000 charging stations in California and 38 states total. Each “Cycle” will cover 30 months and require another investment tranche. Electrify America is seeking input from “governments, organizations and others” who could help with advice for choosing charging station locations in Cycle 2. That Cycle will begin in July 2019. Advice is requested before the end of March 2018. For implementation, Electrify America has turned to Greenlots. That company has existed for several years and specializes in back-end operations for charging network operators. A charging network can focus on installing and maintaining the charging station network, and use the Greenlots platform to handle network operations. The press releases talk about Electrify America’s IoT devices, and the need for energy management. The phrase Internet of Things (IoT) refers to small internet-attached computers controlling “things” interfacing with the real world. For example you might have a box next to the doorbell with a camera and speaker. Anytime someone rings your doorbell, a notification pops up on your smart phone and it doesn’t depend on where you are, and once the app is running you can talk to the person at the door via that app. That’s an example of an internet-attached-thingy (IoT) device. 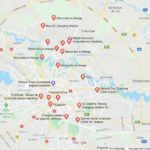 What’s starting to be of importance is integrating grid stability features into charging station facilities, as well as other “distributed energy resource” installations like solar arrays. As these things become more prevalent in our lives, they need to act as part of the overall electricity grid. In particular, Solar needs to stop acting as a minor bit player in the electricity grid, and take up a significant role in stabilizing the electricity grid. Plans are underway in several places around the USA, primarily in Hawaii and California, to develop smart control systems so that distributed energy resource systems can positively affect grid voltage, frequency and other electrical characteristics. 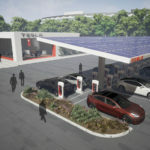 These efforts are focusing today on solar arrays and energy storage, but electric car charging stations are on the horizon. Electrify America is a spinoff from the Dieselgate scandal. One way to tell is by the background of the company’s senior management, which is heavy with folks from the Volkswagen Group, Audi, and BMW. In lieu of paying a fine to the US Government, a settlement was negotiated where instead they’d build a large electric car charging network. Electrify America is the result. Therefore, the funding for this plan is firm. The theory is that instead of forcing a culpable company to pay a fine, the government forces that company to make a corporate investment that results in a positive social good. Both companies, NRG and VW/Audi/BMW, are being required to beef up electric car charging infrastructure. At the time of the eVgo settlement some companies filed a lawsuit claiming that settlement was wrong, incorrect, and unfair competition. The arguments in that case are worth rehashing in this context. Is it a punishment to force a company to invest in a new business? One it was going to build, or should have built, anyway? In the case of NRG, the company wanted to expand eVgo into other markets besides Texas, and California was the obvious place to go. Was NRG punished by building a new business operation? That’s an excellent question to ponder. One answer is that it’s not unknown for companies to be forced to make investments in things resulting in positive social good. A counter question is whether it’s necessary to punish a wrong-doing company, or whether getting such a company to produce positive social good is a worthy response to corporate wrong-doing. Does anyone know the answer to that conundrum? Following NRG’s settlement with California to bring eVgo to California, legal action was initiated to block the settlement. That action was launched by ECOTality, then the owner of the Blink network. 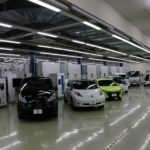 ECOTality charged that it would be unfair competition to have a massive corporation like NRG involved in the electric car charging business. ECOTality ended up losing that lawsuit, and a few months later they went bankrupt anyway with the Blink network becoming owned by the Car Charging Group. An important point is that ChargePoint declined to participate in that lawsuit. That last statement sounds interesting. A quick Google search turns up a press release from ChargePoint in December 2017 (see below) claiming that SemaConnect is infringing on four ChargePoint patents regarding “networked electric vehicle charging”. So… it’s not sour grapes that they lost the bid to run the Electrify America network, but that SemaConnect is supposedly infringing on some patents. Apparently Electrify America issued an RFP and then whittled down the applicants to select these three. As is obvious from the previous section, ChargePoint was not selected and they’re not happy. Reston, VA (January 15, 2018) – Electrify America, which is building a robust national charging network and increasing electric vehicle awareness across the United States, today issued a call for comments, proposals and recommendations that provide guidance and data to help guide the company’s next set of Zero Emission Vehicle (ZEV) investments in California and across the country. This investment cycle, the second of four 30-month cycles and part of a $2 billion commitment over ten years, will start in July 2019 and end in December 2021. This is an opportunity for governments, organizations and others to assist Electrify America as it updates its analytical models, evaluates new technology and public policy developments, tracks evolving consumer expectations and explores the value of new allowable ZEV Investments. Other – All other comments or submissions that relate directly to Electrify America’s ZEV Investment Commitment. All submissions must be received by March 1, 2018 to better ensure consideration in the Cycle 2 ZEV Investment Plans. For more information or to submit proposals, please visit www.electrifyamerica.com. 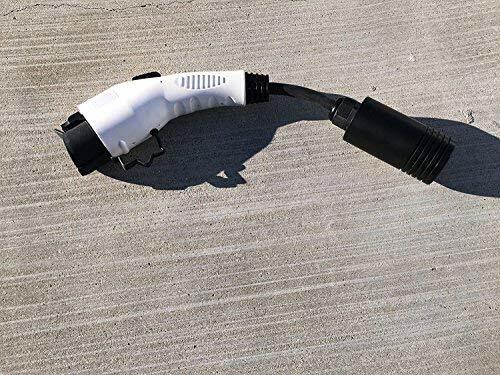 of Americans to discover the benefits of electric driving and support the buildout of a nationwide network of workplace, community and highway chargers that are convenient and reliable. 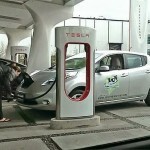 For more information and to view the national and California ZEV investment plans, visit www.electrifyamerica.com. For any inquiries related to Cycle 2, please email nationaloutreach@electrifyamerica.com. SemaConnect has won the opportunity to help Electrify America build a premier network of workplace and multifamily EV charging stations in 12 cities across the United States. This investment by Electrify America is its first targeting multifamily and workplace locations and is part of Electrify America’s plan to invest $2 billion over the next 10 years in zero emission vehicle infrastructure and awareness. SemaConnect’s award includes performing full lifecycle services for Electrify America, including project site selection, site design, EV charging equipment delivery, site construction and on-going network and maintenance services for the duration of the Electrify America 10 year program. In performing these program management responsibilities, SemaConnect will tap leading workplace and multifamily commercial property firms to identify host sites across 12 target cities which include: Chicago, Denver, Houston, Los Angeles, Miami, Philadelphia, Portland (OR), San Diego, San Francisco, San Jose, Seattle and Washington, D.C.
SemaConnect’s Electrify America contract also includes delivering SemaConnect’s smart EV charging equipment, cloud-based management software and network technology to participating workplace and multifamily properties. Since the start of the mass market EV industry in 2011, SemaConnect’s EV charging technology has established a track record of reliability and exceptional performance and has embraced open standards and interoperability. SemaConnect is the leading provider of electric vehicle amenities to the North American commercial and residential property markets. A complete EV support partner, SemaConnect delivers a truly modern property experience through innovative, elegantly designed charging stations and a robust and open network. The company has helped maximize property value and appeal through thousands of successful Class A deployments since its founding in 2008, for companies such as CBRE, JLL, Hines, Greystar, Cisco Systems and Standard Parking. SemaConnect remains the preferred charging solutions partner to municipal, parking, multifamily, hotel, office and retail customers across the United States and Canada. For more information, visit www.semaconnect.com. 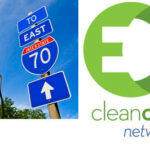 Established in 2009, EV Connect’s customers include Yahoo!, Hilton Worldwide, Western Digital, ADP, California Department of Transportation, Los Angeles Metropolitan Transportation Authority, New York Power Authority, and numerous municipalities. For more information, please visit www.evconnect.com. Electrify America’s vision is to establish a premier ZEV charging network that is comprehensive, technically advanced and customer-centric — to drive ZEV adoption by reducing charging anxiety and increasing convenience. One of Electrify America’s guiding principles is to build a network that is economically sustainable for the long term. Our infrastructure investment, combined with our education and access programs, will enable millions of Americans to discover the benefits of ZEV driving. ChargePoint, Electrify America, EVConnect, SemaConnect. Bookmark.